Just one of the numerous glitches in Sims. Jacob Tyler spent over 15 years in the video game industry selling video games online. He was the CEO of a major video game wholesale supplier and importer. Video games were always a passion since the ripe old age of 10 but later turned it into a full time career. Now he helps people get into the industry at the easiest stepping stone of video game testing by reviewing source guides in the subject. What happens when you get a line drive to the face? It gets implanted into your brain of course. Reportedly there are over a dozen other hilarious glitches in this long awaited hit. Why is it that glitches have become more expected today now than ever before with all of our high tech 3D modeling software, state of the art computing, programmers who were raised with technologies? The answer is pretty simple really. Besides the fact that the industry falls seriously short on qualified game testers, the big titles are more often than not, rushed to market with ludicrous deadlines imposed during the “crunch time” development cycle of the game. The art of finding game glitches really can be summarized by non standardized thinking. In other words a video game is meant by the developers to be played in a certain way. A certain order of events, a certain set of dialogs in a particular sequence, certain story-line meant to be executed in a particular pattern or order, following some set of accomplishments within the gaming environment. Learning how to find game glitches is a very integral skill when looking to get a job testing video games. But how do you play games in a way they weren’t intended to be played? But when you change your way of thinking and approach it in a non linear methodology, you can, so to speak, take the game by surprise. For example, if you know you are supposed to go on a certain quest, yet you direct your game character to have conversations with people who have not been yet introduced to you to force conversations and inventory exchanges with people you are supposedly not intended to have contact with sometimes you can force an unintended result. These unintended results are precisely what the game companies who employ game testers are looking to gather intel on. Becoming a quality game tester can be accomplished by searching out the possibilities to find new ways to make the game bug out on you. The most successful method to do this is by doing what I have just described above – everything the game does not expect you to do! Have fun with it though and just do silly things that you would never think about doing if you were seriously trying to complete the game in a strategic fashion. If you turn it into a job, you will turn it into monotony. If you love video games, then you definitely don’t want to turn them into something you hate and despise, so I mean it when I say have fun with it. Game testing can be as fun or has tedious as you make it. Practice at home before landing your first job so you can get accustomed with finding ways to make it fun while still being highly productive and catching the highest amount of game glitches. This will allow you to be very competitive in the marketplace. While you’re honing your skills as a tester at home keep a running log of what you’ve been up to. Write down times, dates, titles, glitches and descriptions found, etc. You can turn in this experience to help you get your very first job. You aren’t going to have any previous testing experience to use on your resume, so this can definitely help increase your chances of getting noticed the first time by showing that you a) have real experience as a tester and not just another “player” or game junkie, b) it shows that you can accurately record the data the developers so desperately need and c) can do it in an efficient and timely manner. All of these attributes will help provide a framework for a potential employer to assist them in their hiring decisions and to make you look all the more attractive in their minds as a prospect worth awarding an opportunity to as a new game tester. Beginning a career in video game testing is not always as simple as you may think. By no means should you ever treat it as a secondary endeavor. Like any other job, it is crucial that you pay close attention to all requirements of any employer. I have outlined some very basic rules of thumb that any great game tester candidate will adhere to. When you are working on your testing job, you will be gathering and preparing information about the game for dissemination to the firm who is employing you. With this being said, the details you may have never noticed before will just start popping for you. You will soon be seeing things in games you have never noticed prior to becoming a great video game tester. First off, you must already totally love gaming! It sounds silly to even bring it up but game testing is honestly a love it or hate it type of deal. If you don’t absolutely feel passionate for the gaming industry as a whole, you just flat out won’t make it long. You will burn out and start hating games. Do you really want that? I can assume the answer is no. Assuming I am right then you need to look at it like this. Once the developer ships out that brand new non released game for you to start digging into, you should be waiting with anticipation. With genuine excitement, you will be competitive with your fellow peer game testers in other parts of the country and you will actually be more productive because of that excitement. Productivity = more titles to test. More titles to test means more experience and more money in your pocket. Many game testers fall into a limited way of thinking and only tend to test for those companies who create the titles they enjoy the most. This is a very dangerous path for your career. Remember the big three? Nintendo, Microsoft and Sony. Now of course there are hundreds of other developers, out there, so don’t just stick with Microsoft X-Box One games for example, when there may be plenty of opportunity at Bethesda Softworks. You get my point. Realize right now before you even begin as a tester that video games are often considered a software suite or package. Not just another “game”. If you look at them as software and understand that every piece of software on the planet has a developer or in this case an entire team of developers, you will start understanding their job also. If you understand the basic job function of the developers, then you will know what is important to report in each game. You will also understand the why’s behind the how’s. Why is it important to report this or that? What will the developer specifically do with this bit of information? Keep reading and when you get your first tester job and heed my words, you will discover all of the answers to these questions and gain valuable know how as a game tester. Educate yourself about the inner workings of the video game industry. Gaming professionals are constantly bombarded with average “gamers.” Take it from me, this gets very old, very quick. Instead learn how the business works from the outside in using references like the internet. Read all about how it works, from idea, to development, testing to marketing. Industry insiders are very secretive about this business but the internet is your best friend when it comes to research. Put your game controller down and get your studying mind active. If you are serious about becoming a game tester then you need to get started right now. Take on many small jobs for smaller firms right off the bat. Start working and don’t get too picky about the money either. The point is to build up a powerful resume that will make the big company salivate when they see it. When employers get resumes of this nature, they oftentimes will compete with each other over employees. This is exactly the position you want to be in! Some very small and limited budget companies even seek out non paid testers. Although these companies can not afford to compensate with money, you still get the free game, but way more importantly, you get the experience on your resume. You can get started right away just by following the instructions located in the job guides. Having the knowledge and know how will do wonders to dazzle potential employers. Confirm what your long term goals are. If your goal is to be working for a particular company as a game tester, check to see if that company will require you to relocate or if you will be able to work from home. Start researching this right away. There are many of both types of companies. Some of the sources list over 200 companies and are continually adding more. After you have completed these steps, you should then get started polishing up or creating from scratch a resume. Make sure to list off the experience you have playing the games, but more importantly your passion and knowledge of the industry you gained. Also be sure to list the testing firms I mentioned if you decide to work for them, then of course list them on your resume as well, Following the steps laid out here will greatly increase the odds of you landing your dream game testing gig. From there, your future in the game industry will be wide open as long as you continue to learn and grow. The site is well organized and includes several bonuses included in the membership. The reason we gave 5 stars is that BAGT offers hands down, the best program on the market today if you are serious about becoming a game tester, then this is your spring board into the industry! Any choice you make will give you everything needed to get started as a paid video game tester. This program contains tons of insider information that would be just about impossible to learn on your own including contacts that you will need to get you started.Visit the official Become a Game Tester site for more information, or see our full review. This site is very good and included in their one time membership is absolutely everything you need to start however there is only one choice to the membership. If this does not bother you, other than that, it is a top notch program. With the Game Tester Guide, pretty much everything is covered and done for you including your information being submitted to the industry jobs so you can get your start quickly. Learn more about this guide at the site of Game Tester Academy or you can visit my review page to see more. What struck us most about this product is how easy it was to get started. With the Video Game Tester Secret product, things are made pretty easy for you. Also, it is possible to end up with tons of free games for your efforts. The main reason for the lower rating is it just seemed to take a while longer than the others for things to start happening. You can see more on the official Video Game Tester Secrets site or see my full review here. What would a video game testing site be without a section underscoring the dramatic need for QC testing? This collection of WTF moments has literally had me on the floor laughing out of control. Funny video game glitches are what it’s all about but it is serious business for the developers and the last thing they want to see after a release date when it’s too late! Here is a small collection of some of the most ridiculous video game glitches out there, old and new. This is an ever growing section so please check back for more later. Am I missing any? Brodus is half the man he used to be!? WWE 2013. WTF is this? Here is another one of the many freaking bizarre glitches in on of my favorite games ever. A penny saved is a penny? This is way beyond a clipping error here! ROFL, this one is from WWF Live. Wish I could do that! Become a Game Tester has received our highest rating. Please my full review below. What I found most refreshing about Matthew Johnson’s “Become a Game Tester” course is that he takes the time to spell it out for the complete newbie. The guide carefully lays out a step by step action plan that enables the prospective beta tester to make his or her very first contact into the game industry. Since getting your foot in the door for the first time is always the most difficult challenge but especially so in the gaming industry, Matthew covers all of the dos and don’ts in his game tester guide. I would also like to compliment the author for the fantastic customer support he provides to all of his patrons. The guide costs some about the cost of a new video game but with the information inside, the reader learns how to receive an endless stream of new video games for free mailed to his or her door. This more than makes up for the small fee that is required to get the manual. Without the manual of course it is still possible that one could luck themselves into a job, but most likely a lot of time and effort will be wasted in the process. Other nuggets I found in Matthews program include such things as: a secret to why it is that gaming companies today need testers more desperately than ever before, 154 developers who are on his personal list that can help keep you working most of the time and a hole bunch more. Long story short, this in my opinion is the absolute best pick. If I had to think of something negative about the package is it might be overwhelming for some people because of the amount of information contained within it’s binds. He really over delivers on this product and I look forward to other gaming related information products that may come from Matthew in the future. So Kudos to Matthew for really going out of his way above the call of duty (no gamer pun intended). Become a Game Tester also comes with a 60 day warranty honored by the well known Clickbank Marketplace. You can read more about the “Become a Game Tester” program by visiting the official site here. Language and grammar testers. These folks are paid to correct language and grammatical errors, mistakes in spelling. This includes but is not limited to game script testing, making sure dialog in the game follows the proper sequence. The employer who you are working for will provide to you the proper flow chart of dialog, and it is your job to check it for consistency. Quality testers are always in demand, particularly experienced gamers. These paid gamers help to recognize bugs in the game software prior to sale release to the public. Compatibility video game testers. In these assignments, you will help to report regarding different configuration settings and how they effect the game. At the beginning of each assignment, the prospective game tester will be expected to have attention to detail as he or she plays the required title and helps to identify problems and to ensure the linearity of the software. In other words: Does it play smoothly? Does each possible scenario play out as expected? You are oftentimes provided a questionnaire of which you will be asked to complete. It will show you what you need to do in regards to checking each part of the game and doing X, Y, or Z scenario. Then check for A, B, or C problem. Did you encounter any? If so which one(s)? Q:Do you enjoy playing video games? If the answer is no, then do not waste your time signing up to be a game tester, you will more than likely hate it. This is a love it or hate it type of job, there really is no middle ground here. Sorry to be so blunt, but it’s better to save yourself the headache if you are not totally in love with games to begin with. If the answer is YES, then don’t waste anymore time, let’s start game testing now! Game Testers Academy has achieved a very close second. Please my full review below. There are so many advantages to this program that I was really close to putting it as number one on the list, but the only thing stopping me is my love of Become a Video Game Tester Program. What it really boils down to is a personal preference in the guide formatting. I am a guy who likes to read from beginning to end. 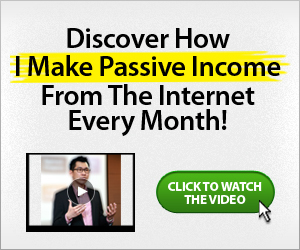 This program has so much great information that it is difficult for me personally to do that. I found myself bouncing all over the place in excitement. So in the end it is obviously your personal preference that will make the choice. I hope this review helps you. Game Testers Academy includes a 60 day warranty honored by the well known Clickbank Marketplace. You can learn more about “Game Tester Academy” by visiting their official website. Here we go, ready to watch Red Dead Redemption wagon bounce like a 90′s Coolio video? What about a Skyrim gymnast who’s managed to attack a grizzly bear with his head? This is what it’s all about guys. Sometimes I wonder if the developers put these ridiculous capers into the games just to see if we’re paying attention.